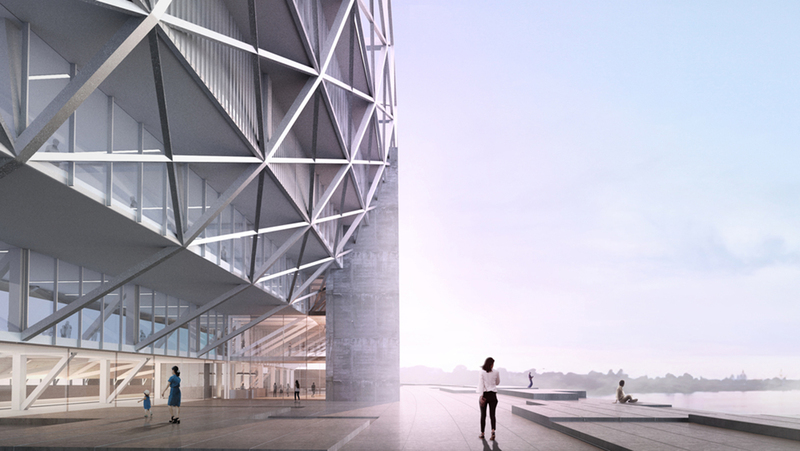 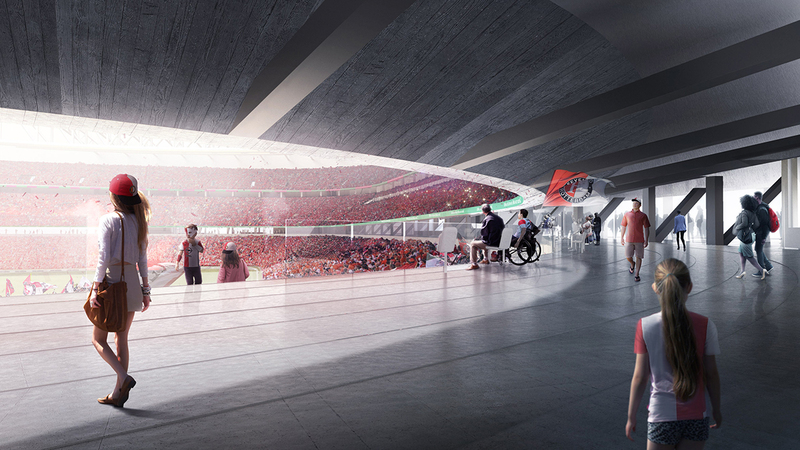 OMA has unveiled schematic designs of what will become the largest football venue in the Netherlands. 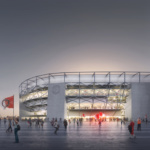 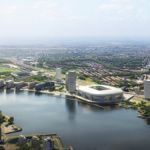 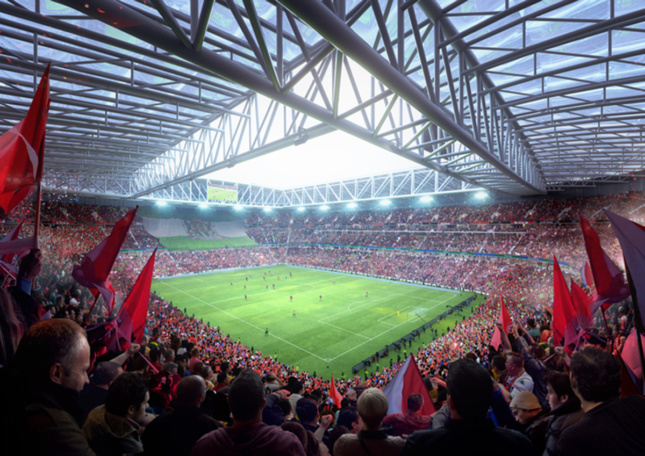 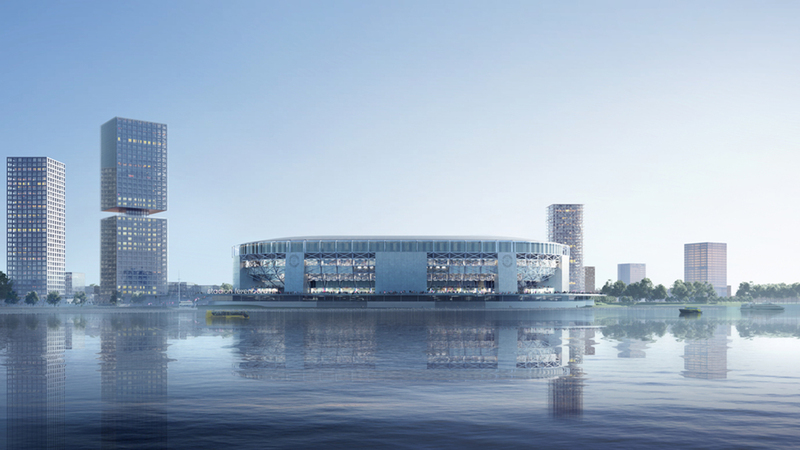 The 63,000-seat Feyenoord Stadium will sit nestled along the river Maas with up-close views of Rotterdam’s skyline, replacing the city’s 80-year-old, out-of-regulation Stadium de Kuip. 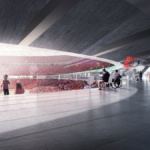 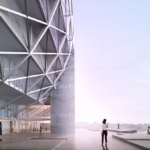 Tasked with the challenge to create a sports structure as beloved as its aged predecessor, OMA’s design team has envisioned an intimate, low-lying arena where every visitor, no matter their seat, will have unmatched views of the pitch below. 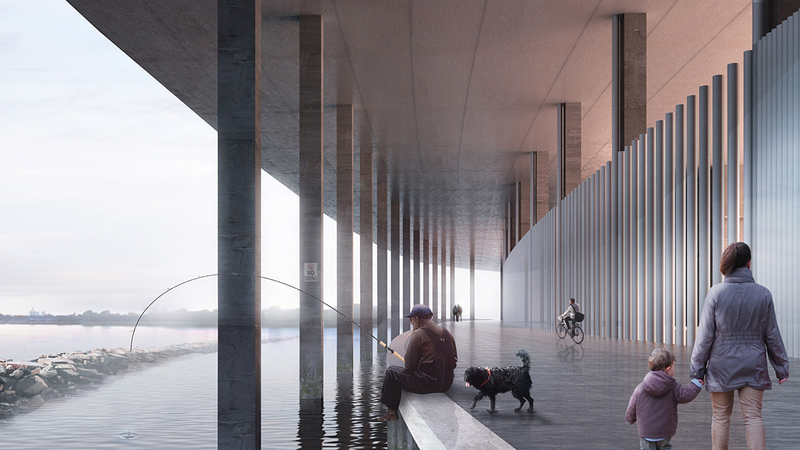 It features a bowl shape set on a platform that partially juts out over the river. 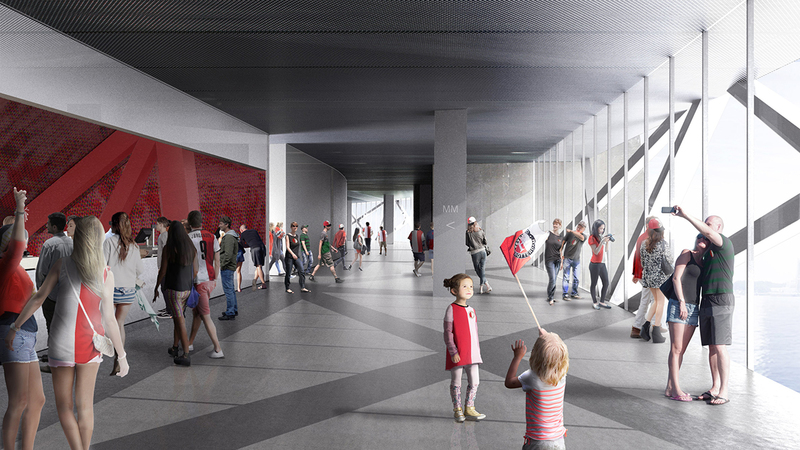 The main concourse wraps around the structure as a new urban plaza featuring a design by Lola Landscape. 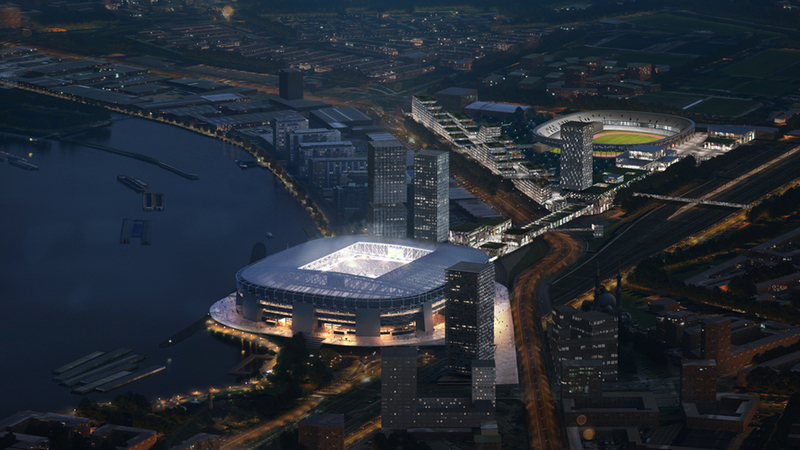 The current stadium De Kuip will be reimagined as part of a new residential, commercial, and recreational hub known as Feyenoord City. 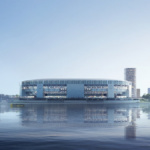 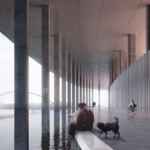 The build-out of Feyenoord Stadium will serve as a catalyst for this master plan, also designed by OMA, which aims to regenerate the underutilized waterfront Rotterdam Zuid neighborhood. 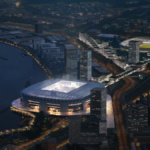 The overall plan includes the redevelopment of De Kuip into an apartment complex and athletic center, as well as revamp an adjacent park. 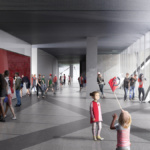 A pedestrian walkway, known as De Strip, will connect the old stadium with the upcoming arena, which is surrounded by rail and highways. 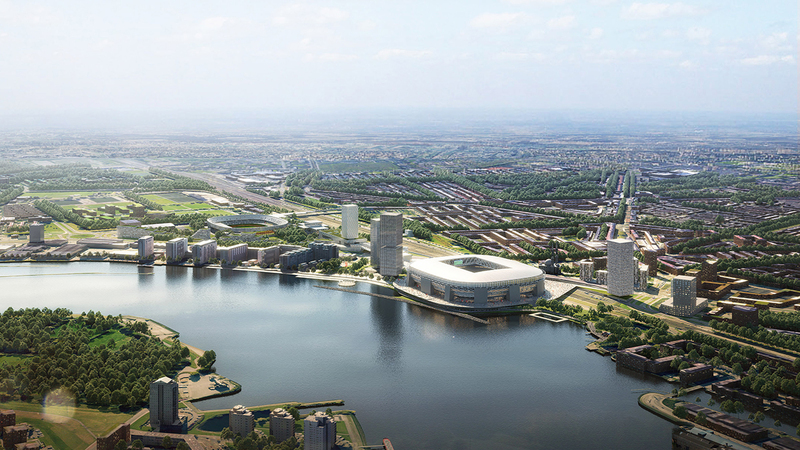 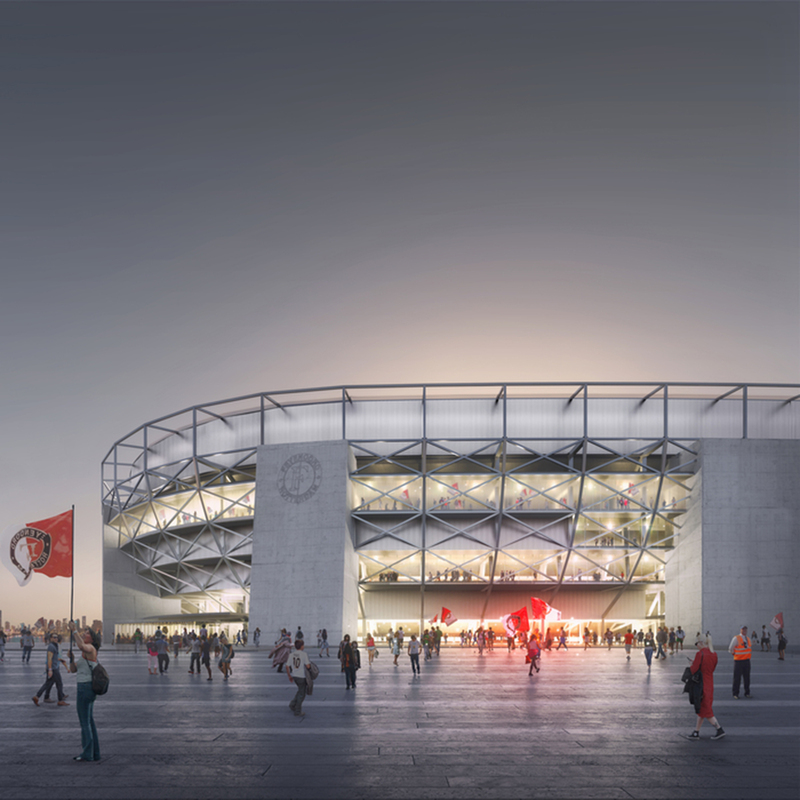 Feyenoord Stadium is expected to open in 2023.